No garden? No problem. This compact bistro set was made for urban living. It’s the ideal size for a balcony or smaller patio and the smartly shaped chairs tuck underneath the table when not in use. Use it to make the most of your outdoor space, whatever the size. Tice has a soft-looking shape and bold colour options. Go for grey to keep in tone, or on-trend chartreuse for a vivid look. 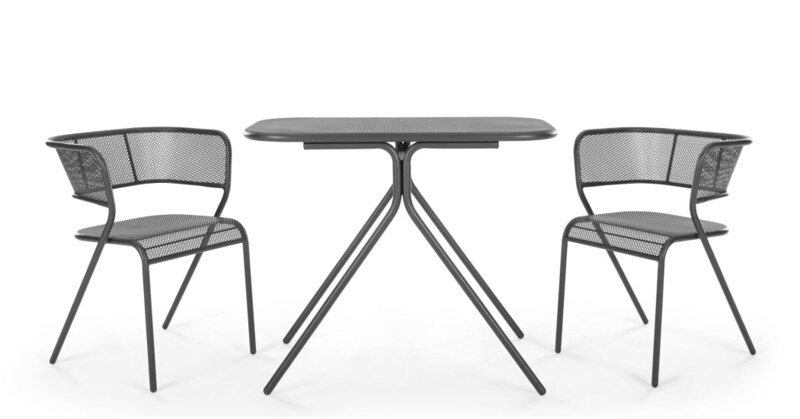 Both in powder coated steel with coordinating mesh pattern across the table and chairs.